Sports licensing is becoming one of the most sought after categories in the brand licensing segment after witnessing huge demand for licensed merchandise products and apparels in India. 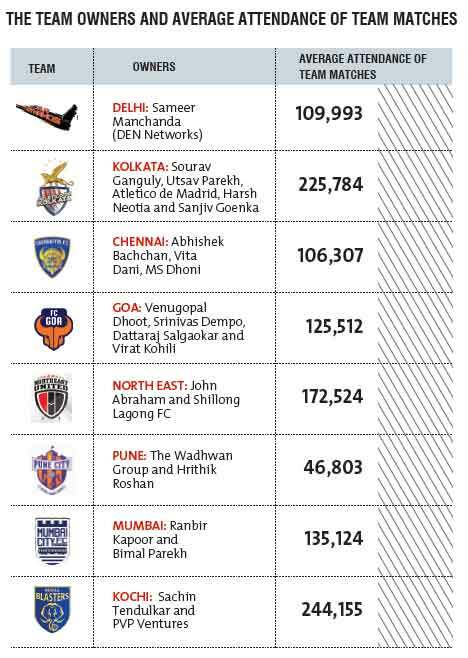 Off late, the frenzy over the inaugural Indian Super League (ISL) comprising eight teams, namely Atletico de Kolkata, Chennaiyin FC, Delhi Dynamos FC, FC Goa, FC Pune City, Kerala Blasters FC, Mumbai City FC and NorthEast United FC, has boosted the business of selling licensed merchandise of this mega sport. Promoted by the IMG-Reliance joint venture, which has licensed the commercial rights to Indian football from the All India Football Federation (AIFF), the ISL is created and owned by a mix of industrialists, film personalities and former cricketers who have together paid a sum of Rs 12 crore per team. The IMG-Reliance combine which bankrolls the league requires a wide spectrum of fans to embrace the league. Going by the base rate for ISL tickets, it is just Rs 200, a sum which is much lower than the ticket rates for the IPL and affordable to even the financially weaker sections of soccer lovers. Having tasted success with Kabaddi League, Star India with a set aside revenue of Rs 6,100 crore for Hero ISL has been successful in getting an average viewership of 34 million since it began in October’14. The ISL has signed several marquee players who bring in the much needed glamour to the sport. Former Liverpool hero Luis Garcia, France striker David Trezeguet, England goalkeeper David James and Spain’s Euro 2008 and World Cup 2010 winner Jaon Capdevilla have joined ISL, to name a few. These players may not be the talent that they once were, but they undoubtedly attract a fan base much needed in a country like ours. Atletico de Kolkata as their name suggests are part owned by current La Liga champions Atletico Madrid. Delhi Dynamos FC represents the capital and partners with Dutch team Feyenoord, FC Goa is owned by industrialist Venugopal Dhoot. The Kerala Blasters attract a million fans as country’s capable cricket player Sachin Tendulkar is a Co-owner. To top it all, Bollywood actors like Ranbir Kapoor and Salman Khan own the teams Mumbai City FC and FC Pune City, respectively, while NorthEast United FC in Assam is Co-owned by John Abraham and Chennaiyin FC owned by Abhishek Bachchan. Having such huge A-list celebrities associated with the teams, inevitably provides assistance in helping to break out the football market in the country. Merchandising in India is although not a viable economic benefit across leagues, but as loyalty bases grow, the scenario is changing. The primary broadcaster of ISL, Star India is a promoter as well as the owner of the league, which undoubtedly leads to its aggressive marketing. Besides, there is a growing trend of sale of licensed merchandise of ISL where brand manufactures and e-tailers are in upfront maximising their business opportunities by keeping this trend alive. Brain Child of Siddharth Taparia and launched in 2013, online licensed apparel merchandise store VoxPop Clothing develops quirky T-shirts in partnership with international and domestic entertainment, sports and other brands, including Disney, Marvel, Batman, Superman, and Game of Thrones, among others. Off late, the company had also tied-up with ISL team Mumbai City FC and has designed limited edition T-shirts, in patterns of round and polo neck in various colours of white, blue and black and the collection is available on their website voxpopclothing.com priced at Rs 699 and upwards. Additionally, VoxPop has secured $1 million investment from existing investor Blume Ventures and a few other strategic investors. The funds will be utilised to expand product categories in higher margin products and brand partnerships. The company will also invest a part of the funds in its recently launched crowd-funding platform for designers and help independent brands develop and sell customised apparel to their fans or group, to build a network around it. This comes as a treat for Barca fans in the country, who can now buy everything from FC Barcelona apparel to sports gear. The entire product portfolio consists of over 200 SKUs to start with, and will be available at all leading online retail websites and retail stores across India. The brand has provided balls for all the matches in the competition and also for the clubs’ training sessions. Besides, to keep pace with the excitement for the ISL knockouts, the brand has designed a special ball. With an upsurge in demand from consumers to buy merchandise from all football teams and with a room created by the developing fan base in the country, merchandise and T-shirts resembling official jerseys from other football clubs like Atletico de Kolkata, Chennaiyin FC, Delhi Dynamos FC, FC Goa, FC Pune City, Kerala Blasters FC and NorthEast United FC will hit the market shortly. The success of sports business is inextricably linked with the ability to maximise merchandising and retailing opportunities and the knack to control the whole value chain and product life cycle. A key component of sports merchandising is to keep in mind the emotional involvement of fans attached with a particular team or club, which when borne in mind, will flourish the merchandising business to great heights. Retail is part of the whole sports experience for many fans, and helps generate engagement among people who live in different markets and for those who cannot attend matches. Spending on sports merchandising reflects the wider polarisation of buying habits, with transactional online shopping at one end, and retail as an entertainment at the other. According to a new PwC report, “Global revenues from merchandising will total $ 20.1 billion in 2015 from $17.6 billion in 2010, with an overall 2.6 per cent compound annual increase.” Increased engagement among consumers leads to higher spending on merchandise. Research shows that sales of licensed products in the right retail environment brings alive the experience for shoppers for their favourite sports clubs, which can certainly allow the licensees to reap the benefits of licensing and expand their merchandising portfolio. Commonly referred as the ‘sleeping giant’ by FIFA President Sepp Blatter in 2007, the question to ponder over is, has Indian Football finally woken up from its long slumber with the launch of ISL? There have been attempts from both sides of the teams and the brand owners and marketers to resort to merchandising and licensing as a tool to help India embrace this sport. Although initial signs look positive, but going by the history, football in our country is not seen as a promising sport and the general perception of it is not very positive among the crowd. However, going by the performance of the teams and sheer efforts from all sides to generate a wider fan base of the sport, the ISL will be one of the first steps in helping India embrace a sport that has been underperforming for a long time. To conclude, there shouldn’t be too much of a problem if it manages to catch eyeballs – so ‘Let’s Football’!